Tyler joined Living Legacy Financial Group in 2007 as a Financial Representative. He has been recognized for his outstanding achievements as a Leaders Conference Qualifier and Centurian Club Qualifier. In addition, he qualified for Guardian's Next Generation Inner Circle, which recognizes Guardian Financial Representatives in the first four years of business who have demonstrated early success and an early commitment to helping their clients preserve their standard of living should they become injured or too sick to work in their profession. Through consistent efforts, reputation for outstanding services, client referrals, and his use of The Living Balance Sheet®, he has built a solid client base and a network of professional alliances. Tyler's client base comprised primarily of individuals in the medical/dental field, including Dentists, Oral Surgeons, Orthodontists and Dental School Residents. Much of his time is spent at Tufts University School of Dental Medicine and Boston University Dental School. In addition, he works closely with the Connecticut State Dental Association and it's members. 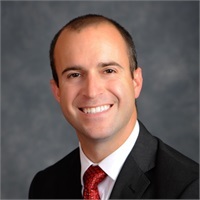 Tyler is involved in the recruitment, selection, and training of new Living Legacy Financial Group associates, while continuing to develop and maintain his personal practice. He is committed to advancing his career, and recently earned the LUTCF ( Life Underwriter Training Council) designation through the American College. Tyler is a graduate of St. John's Preparatory School and St. Michael's College. He is an active member of the Danvers Kiwanis Club, and is involved in the St. John’s Prep Alumni Association. Tyler resides in Danvers with his wife, Rachael, son Harrison, and their dog, Petey.